Germany and Italy had not always been close allies; indeed, during the early 1930s Mussolini had moved troops up to the Austrian border to deter Hitler from influencing events in Austria. However, Hitler had supported Mussolini’s war in Ethiopia and both dictators found themselves supporting the anti-communist cause in Spain. It was, therefore, perhaps logistical that they should ultimately become allies. That process was cemented by the Duce’s historic trip to Germany in 1937, when the Nazis pulled out all the stops to win over Italy’s leader. The heavy cruiser Admiral Hipper, part of Germany’s Plan-Z to build a fleet to match those of Great Britain and France. The heavy cruiser Admiral Hipper is launched. This ship is part of Germany’s Plan-Z, a plan to build a navy that will be able to meet the British Royal Navy on their own terms. 6 battleships of 50,800 tonnes (50,000 tons), plus the Bismarck and the Tirpitz. 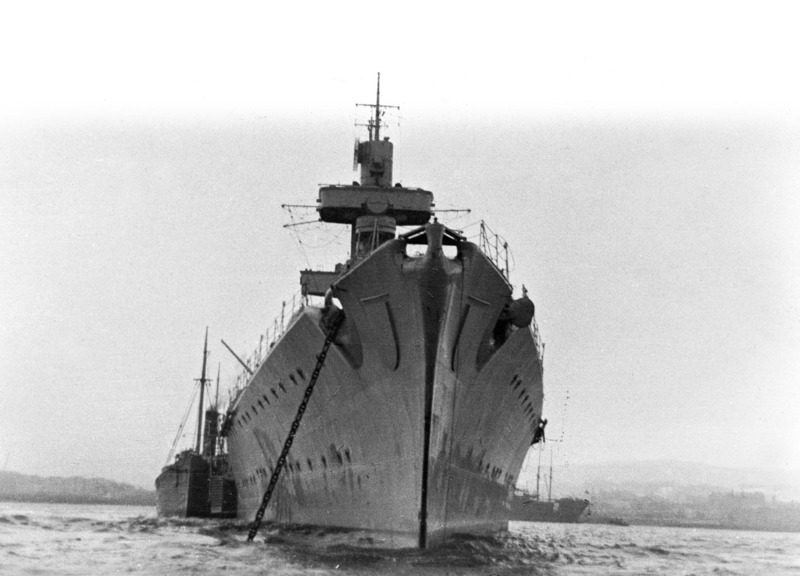 8 Heavy Cruisers of 20,329 tonnes (20,000 tons), later increased to 12. 4 aircraft carriers of 20,329 tonnes (20,000 tons). A large number of light cruisers. 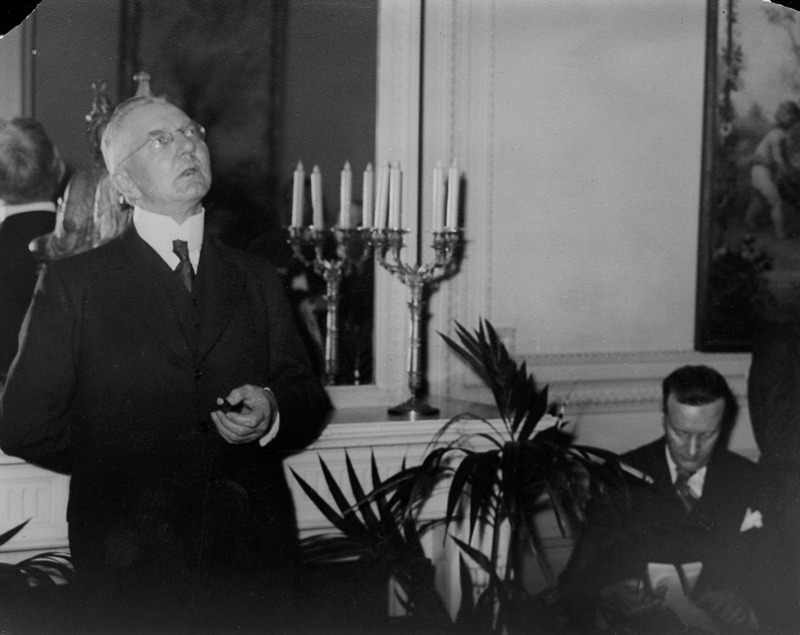 Hjalmar Schacht (left), the Minister of Economics and Plenipotentiary General for the War Economy, resigned in 1937. Despite the setting up of a European non-intervention committee, of which Germany is a member, intended to prevent the possibility of international participation in the Spanish Civil War, Germany very swiftly, and secretly, sets about organizing a powerful, semi-autonomous air component for collaboration with General Franco. An example of the lengths to which the German Government is prepared to go in order to deny to the world the existence of the Condor Legion and its commitment of arms and men to Franco can be seen from the decree published in Germany on February 20, 1937. This forbids German nationals to enter Spain or Spanish possessions, including Spanish Morocco, in order to take part in the Civil War. The decree further empowers the Minister of the Interior, Dr Frick, to take the necessary measures to prevent the departure or transit through Germany of volunteers, German or foreign. It should be noted that this decree has been promulgated over three months after the formation of the Legion Condor. Few are deceived by this decree.